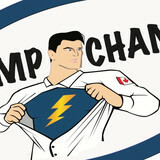 We at Amp Champ strive to provide outstanding service to our customers so that you can enjoy vastly improved safety and comfort in your home. Our technicians are the best in trade, workmanship and attitude. They are background checked, drug tested, uniformed and will leave your home as clean as they started. If you hear our Champs swear, you will receive a free 5 year safety and savings plan! 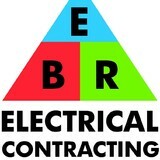 B. E. R. Electrical Contracting Inc.
Electrical installation, design, and consulting. JP Electrical provides commercial and residential electrical contractor services in Simcoe County, Muskoka and surrounding areas. At The Shock Doctors we have been ensuring in-home electrical safety, and giving our clients peace of mind for over 35 years. We specialize in residential home electrical repair & service exclusively. We serve over 500 new and repeat clients annually with the utmost level of integrity. Our unparalleled service is our driving principle and our clients have peace of mind knowing they can be completely at ease with who they are allowing into their home. We guarantee professional workmanship and the BEST 24/7 Service. Our clients earn AIRMILES® on every project. We make wiring rewarding!! We have been rated The Three Best Rated Electricians in Barrie for the last two years in a row. We have also received The Best of HomeStars in 2017 & 2018, and are proud to be HomeStars Verified. Andrew Van Pelt Electric Ltd.
Andrew Van Pelt Electric Ltd. is a locally owned and operated electrical contractor servicing residential, commercial, and industrial customers in York Region and beyond. Our fully licensed and insured Electricians, provide outstanding customer service and high quality electrical installations and repairs. We take pride in our excellent workmanship. No job is too small for Andrew Van Pelt Electric Ltd. Let us exceed your expectations. With over fifteen years of diversified electronic and electrical contracting experience in residential, commercial and industrial sectors; The Electric Connection proudly serves Simcoe County and Cottage country. Quality, professionalism and service are the top priorities of this locally owned and operated business. We believe in developing strong, lasting relationships with our customers and associates, where communication is paramount to a successful project. We will return your call within hours, not days. We are a full service electrical contractor with over 40 years experience serving Schomberg and surrounding communities. Free estimates! Garraway’s Electrical Services was founded by Ed Garraway in December of 1999. Ed has been involved in the electrical industry since 1972 and is certified as an interprovincial construction/maintenance electrician. He is very proud of his staff of friendly, knowledgeable electricians and apprentices. Garraway’s Electrical Services is certified as an Authorized Contractor by the Ontario Electrical Safety Authority and Ed is an executive member of the Ontario Electrical League, Simcoe Chapter. 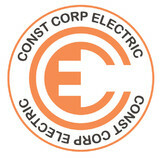 BCM Electric Systems Limited have wired over 70+ custom built homes and cottages in the Muskokas and cottage country. We have a wide ranging service area of GTA, Simcoe Country and all of Cottage Country. Our area’s of expertise also include Commercial, Industrial and Residential Renovations. BCM Electric Systems Limited prides itself in customer service, honesty, and quality workmanship. We aim to complete all jobs in a timely fashion and stay within budget. Our goal is to do everything possible to make our customers happy! Working with electricity isn’t generally a do-it-yourself kind of task. Small jobs, such as swapping out a lightbulb, are safe and easy enough, but intensive electrical work is better left to a professional Midland electrician. When you consider the things that can go wrong, from fire to serious injury, hiring an electrical contractor seems like a wise investment. If you’re in need of a residential electrician in Midland, ON to help get your household’s electricity in tiptop shape, read the following information to help you find the most qualified professional for your job. What do licensed Midland electricians do? An electrical contractor plans, installs and repairs wiring in structures. He or she works closely with the home’s general contractor or remodeling contractor to determine the specific electrical needs for the project and to ensure that the wiring will meet Midland, ON building codes. An electrical contractor’s job also includes installing and repairing fixtures, switches and other visible components of electrical systems. With today’s technological needs and advances, many electricians in Midland, ON also are trained to install fiber optic and coaxial cables for electronic equipment. Certain electrical companies may design and install data systems and wire for security features such as alarms too. Some Midland electrical contractors specialize in specific areas, such as HVAC, low-voltage appliances and systems and more, so be sure to ask about their training to see if it fits your project needs. Find a certified Midland electrician on Houzz. Narrow your search in the Professionals section of the website to Midland, ON electrical contractors. Here are some related professionals and vendors to complement the work of electricians: Lighting Showrooms & Sales, General Contractors, Solar Energy Contractors, Heating & Cooling Sales & Repair.